This year, we've started offering Mother Goose on the Loose, a program for under-2's, at my library. It has been really successful and great fun for kids, parents, and librarians alike! If you're looking to spice up (or start offering) programming for babies, I can't recommend the training enough. The joy of Mother Goose on the Loose is that the program is mostly songs, rhymes, and activities. We do many different things to keep the attention of those little ones, but we always read at least one book. I know it can be tricky to pick out books to read aloud for the bebes, so today I wanted to post about some of the picture books I've used for my baby program and how I used them. For the little ones, it's important to use short books with clear, bright pictures and books get bonus points if there's an easy way to make them more interactive. Remember that you don't necessarily have to read all the text if it's too long. I think it's good for parents and caregivers to see that you can share books with young children without reading every single word verbatim. Brown Bear, Brown Bear, What Do You See? by Bill Martin Jr., illustrated by Eric Carle (Henry Holt & Co., 1967). This book has a rhythmic, sing-songy text that's great for sharing with little ones. When I read it, I sing it to the tune of "Twinkle Twinkle Little Star", which engages parents and kids. 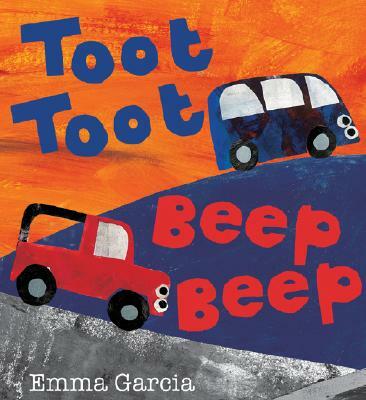 Toot Toot Beep Beep by Emma Garcia (Boxer Books, 2008). The little boys in my storytime looove cars and trucks, so this was right up their alley. 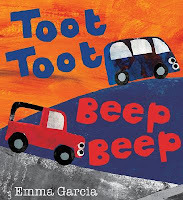 In this book, we see all different kinds of vehicles, from cars to vans to limousines (great vocabulary there) and each vehicle makes a different noise. I ask the parents to say the noises along with me, which helps keep the kids engaged. Ten Little Fingers and Ten Little Toes by Mem Fox, illustrated by Helen Oxenbury (Harcourt Children's Books, 2007). This sweet book has illustrations of babies all over the world and a rhyming, rhythmic text reinforces the idea that "each of these babies (as everyone knows) has ten little fingers and ten little toes". Parents can wiggle their fingers and touch baby's toes each time that chorus comes up. Flip, Flap, Fly! 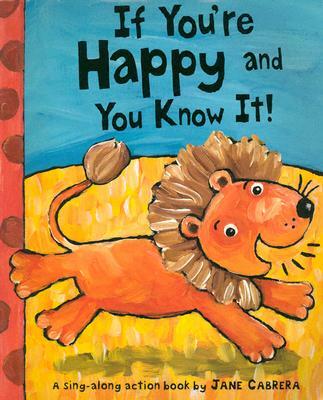 by Phyllis Root, illustrated by David Walker (Candlewick, 2009). In Flip, Flap, Fly! we meet all different kinds of animals through the rhyming text and brightly colored pictures. I ask the parents to say the animal noises with me as we go through each one (although some are a bit harder, like otters and fish). Freight Train by Donald Crews (Greenwillow, 1978). Trains are another popular subject with little guys and gals. For this book, I ask parents to join me with a "Chugga chugga chugga chugga choo choo!" as we turn each page. It helps give the simple text a real sense of direction and we can get faster and faster as the train picks up speed. If You're Happy and You Know It by Jan Cabrera (Holiday House, 2005). Most parents will be familiar with this popular song and they'll be happy to sing it along with you. The actual text of the book includes a full verse on each page, so I wouldn't read them all. I'd paperclip pages together and read maybe three or four verses. Parents can do the actions in the song as we go through the book. Over in the Meadow by Jane Cabrera (Holiday House, 2000). This is another book based on a song, so it has a great rhythm. Again, it's a little long, so I might only read the first five or six verses. I ask the parents to clap along to the rhythm and read it in a bouncy way, emphasizing the beat. These are some of the books I've read in my baby programs at the library. Do you do programs for babies and toddlers? What are some of your favorite read-alouds for the very young? Want more ideas? Click here for more lists and ideas for baby storytime. I love doing baby storytime at my library! We use a collection of board books for our storytimes. We have about 60 different titles, 15 board books of each title. For each storytime, a family gets their own copy of the book to flip through the pages as I read aloud. It works wonderfully. Some of my favorite titles to use are Peek-a-Who? by Nina Laden and Karen Katz's books. I haven't seen Toot Toot Beep Beep. Thanks for including some books you've used--I'm always looking for new materials that are especially good for babies and our baby storytimes (which I'm responsible for here, and which I also LOVE). My book, No Bows!, is one I use for very young programs. I read the story and then go back and read it again, this time asking about the pet lizard and what he is doing. The kids have been attentive at my presentations for storytime. Oooh, another Emma Garcia I haven't played with yet! That will be fun. The kids in my toddler group love Tip Tip Dig Dig. I have also had great success with Anna Dewdney's Llama Llama titles, with Llama Llama Red Pajama being a favourite.